After sitting on hold for 15 minutes, a customer is finally connected with a customer service representative who listens carefully to their situation, is sympathetic, and attempts to reach a resolution. The customer service representative informs the customer that they understand and acknowledge that an error has been made on their part, yet they do not have the authority to adjust the bill or offer a refund. Instead, the representative offers the customer another option that is not nearly as appealing and is probably not satisfactory. The customer hangs up, aggravated with the business and goes on the search for a new one. The customer service representative offered a possible resolution as he or she was instructed to do. Yet the company potentially lost a valuable customer. So what went wrong in this situation? Well, similar to a majority of customer service representatives, this one offered a possible resolution yet showed no authority in offering a more acceptable solution to entice the customer to return. How does the amount of authority a customer service representative possesses directly affect customer satisfaction? Customers immediately note that the CSR does not have the knowledge or authority to handle their situation. 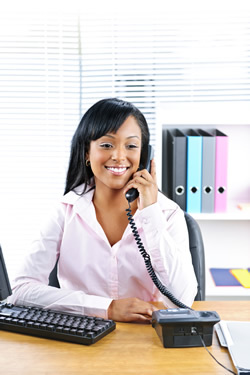 In many cases, the customer may need to be placed on hold while a supervisor is consulted. Or a customer may be transferred to another employee who can better handle the situation. In either situation, being placed on hold or being transferred only annoys the customer. How can you delegate enough power to your customer service representatives to increase customer satisfaction? Well, first you must allow the CSR to have more decision making power. Many of these situations involve only simple decisions that a CSR is fully capable of handling, yet he or she must still fetch a supervisor for approval. Instead, clearly outline common situations that may occur, and offer possible solutions. Trust the employee to make the best decision for not only your company, but also for the customer. If the employee can quickly resolve the issue without supervisor consultation, you will save time and money. More importantly, your customer will appreciate the quick resolution and remain satisfied with your business. When thinking about a customer service representative’s authority, you must also consider your employees. Because the CSR may not have the authority to make an appropriate decision, they will most likely deal with angry and insulting customers. They will also feel discouraged and unmotivated. Many CSRs are quickly burned out and bitter about their job. Their attitude directly affects customer satisfaction. If they are unable to assist a majority of their callers every day due to simple factors such as authority, they will likely come to hate their job and, in return, take out their bitterness on customers and coworkers. You can quickly spot a burned-out CSR, as they state “I don’t have the authority,” in a bitter tone. Poor customer service is one of the most complained about things in the United States. Customers may be satisfied with your product or services, yet they choose to take their business elsewhere after a poor customer service experience. In many cases, a powerless CSR with no authority is to blame. To increase customer satisfaction as well as employee performance and happiness, empower your employees. Clearly designate situations in which they have the power to make an appropriate decision. Likewise, if there are situations in which a supervisor should be consulted, always offer that option. Trust that the training you have provided to your most qualified employees will allow them to make appropriate decisions. Confident employees are more likely to satisfy the customer’s requests or inquiries, with will greatly increase your customer retention rates.